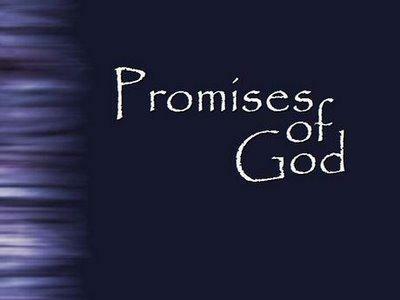 All believers should love the promises of God, and all should want to claim those promises. But the simple truth is, many of these promises are conditional. They are not automatic, in other words, but they very much depend on us and what we do. But a closer look at the many promises found in Scripture will reveal that a great deal of them are in fact conditional. Often this is quite clear because of the “if-then” way they are expressed. These promises make it clear that if we do something (obey God, pursue righteousness, keep his word, etc), then we can claim those promises. Wow, what great promises! But every single one of them is conditional. They do not come automatically – there are strings attached. Yet plenty of Christians will pull these promises out of context and seek to claim them for themselves. There are at least two main problems with this. First, these promises were primarily addressed to ancient Israel, not to us. And often in these same passages curses are promised by Yahweh to Israel for disobedience as well. So will we Christians claim those sorts of promises? I rather doubt it – we tend to be a bit selective about God’s promises! But even if we can take a secondary application from this passage, as I just said, it is 100 per cent clear that these are all fully conditional. 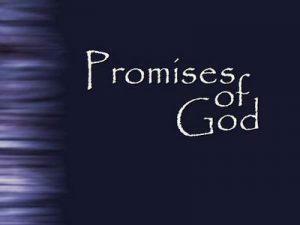 Only if the Israelites of old (or believers today) do certain things can they see these promises realised and fulfilled. And just what are those conditions? The first several promises I mentioned above all are associated with how Israel does fasting. Yahweh makes it quite clear (in verses 5-8) that unless their fasts are accompanied with repentance, brokenness and humility, and demonstrated by works of justice and righteousness (including feeding the poor) they will not get such promises. We see a number of if-thens found in this chapter. Many wonderful promises are found in it, but every single one is conditioned on the obedience and righteousness of the people of God. There is and can be no glib “name it and claim it” silliness going on here. The Bible is not a jar of lollies which any child can thrust his hand into and grab as many goodies as he can. Many of these are clearly marked ‘conditional promises only’. Only under certain clearly specified conditions can these promises be appropriated. Yet we have a church full of believers who spend all their time cherry-picking Bible promises, when so very many of them just cannot be claimed without first meeting the biblical conditions attached to them. There are of course just so many of these conditional promises. I think a great exercise for any believer would be to go through the Bible and find all the promises of God, and see how many come without any conditions, and how many come with conditions. That would be a great project for any believer to engage in, time permitting. But let me offer just a few more of the many conditional promises found throughout Scripture. Exodus 19:5 Now if you obey me fully and keep my covenant, then out of all nations you will be my treasured possession. Deuteronomy 11:13-15 So if you faithfully obey the commands I am giving you today – to love the LORD your God and to serve him with all your heart and with all your soul – then I will send rain on your land in its season, both autumn and spring rains, so that you may gather in your grain, new wine and oil. I will provide grass in the fields for your cattle, and you will eat and be satisfied. Deuteronomy 11:22-23 If you carefully observe all these commands I am giving you to follow – to love the LORD your God, to walk in all his ways and to hold fast to him – then the LORD will drive out all these nations before you, and you will dispossess nations larger and stronger than you. Psalm 91:9-10 If you make the Most High your dwelling – even the LORD, who is my refuge – then no harm will befall you, no disaster will come near your tent. Isaiah 48:18 If only you had paid attention to my commands, your peace would have been like a river, your righteousness like the waves of the sea. Matthew 6:33 Seek first the kingdom of God and His righteousness and all these things will be added to you. God is always faithful to do what he has promised. But quite often those promises are contingent upon the choices we make. If we obey, if we stay humble, if we do that which is right, and so on, then we can often claim those promises indeed. But we must take great care against being presumptuous. The promises of God are not some grab bag of goodies that anyone for any reason can avail themselves of. They are usually given to God’s covenant people – whether Israel of old or the church today. And a biblical covenant usually involves responsibilities for both parties. God will always take his covenant responsibilities seriously – but we must do so as well. So by all means enjoy and delight in the many promises of God found in the Bible. But make sure you appropriate those promises as God intended. A proverb is a saying that generally holds true. Whilst some proverbs may be promises care needs to be taken not to assume they all are. I don’t think Proverbs 16:7 always hold true even if the condition stated is met. Elijah dealt with the prophets of Baal, but Jezebel was not at peace with him and openly threatened to murder him. Mordecai was a righteous man and yet Haman grew all the more determined to kill him. Jesus came to save and yet he was handed over to be killed by his enemies. In Proverbs 26:4-5 there are two statements that encourage the opposite reaction to a fool. Which one do we lay hold of and follow? Or think of proverbs from outside the Bible such as “many hands make light work” and “too many cooks spoil the broth”. Which is right? It depends on the context. We need both a head knowledge of scripture and the guidance of the Holy Spirit to remind us of it and apply it correctly to different situations.